We have high confidence that the cellphone of Omar Abdulaziz, a Saudi activist and Canadian permanent resident, was targeted and infected with NSO Group’s Pegasus spyware. Abdulaziz has been outspoken on an ongoing diplomatic feud over human rights issues between Canada and Saudi Arabia. The targeting occurred while Abdulaziz, who received asylum in Canada, was attending university in Quebec. Israel-based “Cyber Warfare” vendor NSO Group produces and sells Pegasus mobile phone spyware suite. Pegasus customers can infect targets using Androids and iPhones by sending them specially crafted exploit links. Once a phone is infected, the customer has full access to a victim’s personal files, such as chats, emails, and photos. They can even surreptitiously use the phone’s microphones and cameras to view and eavesdrop on their targets. Throughout the outline, The Citizen Lab details their findings and the relationship between NSO Group and Saudi Arabia. Omar Abdulaziz is a prominent Saudi political activist who has been based in Canada since 2009. As a student at McGill University, Abdulaziz started a popular satirical news show on YouTube, which is highly critical of the Saudi government’s repressive tactics and human rights record. The show has garnered millions of views, and he has developed a large social media following. After the Saudi government withdrew his scholarship to study in Canada, Abdulaziz applied for asylum and was granted permanent resident status in Canada in 2014. The Washington Post reports that attorney for Abdulaziz lodged a civil case against the NSO Group based in Tel Aviv, Israel according to legal papers acquired by the outlet. Abdulaziz learned his phone was hacked in August, some months after he clicked on an infected link. Abdulaziz was in regular contact with Jamal Khashoggi the Washington Post contributor who was murdered and dismembered at the Saudi Consulate in Istanbul, Turkey on October 2nd of this year. A fifteen-man assassination squad was assigned with carrying out the task assumingly by the Crown Prince of Saudi Arabia Mohammed bin Salman, the defacto leader of the country. 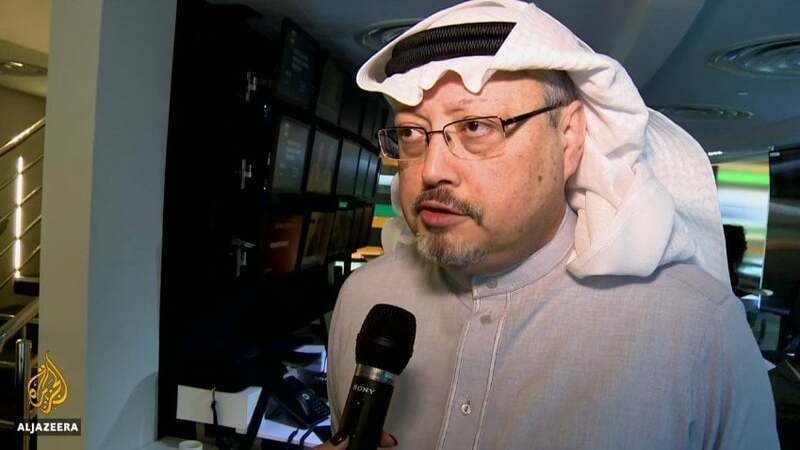 According to CBC News, Abdulaziz’s lawsuit plans to argue the relationship between he and Khashoggi played ‘a crucial factor’ in the decision to have the ladder murdered. The suit against NSO comes after dissidents, journalists, and opposition figures have claimed the companies technology is a common tool used by oppressive governments to spy on them. Amnesty International recently stated it was considering legal steps to have NSO Group’s export license revoked, the human rights group contacted Israel‘s Defence Ministry, but it denied an emergency request to revoke NSO’s license. Amnesty International claims NSO technology was used to target one of their employees. “We thoroughly reject this inadequate response. The mountain of evidence, and reports on NSO Group and the sale of its spyware to human rights-violating regimes is substantial proof that NSO has gone rogue,” said Molly Malekar, programs director of Amnesty International Israel.